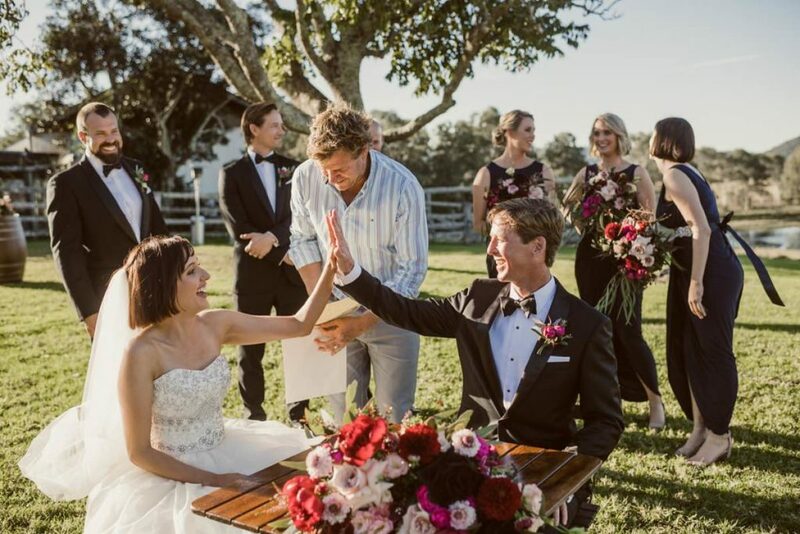 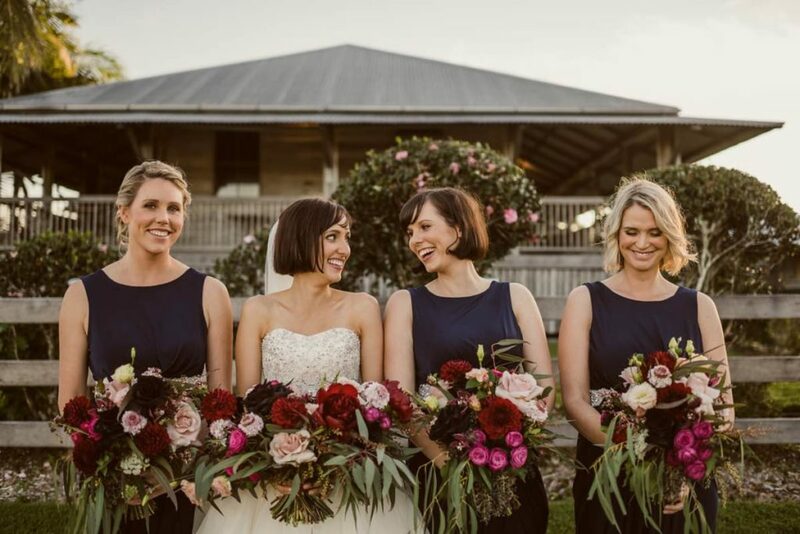 Rich moody hues added to the romance of Clare and Randles wedding day. 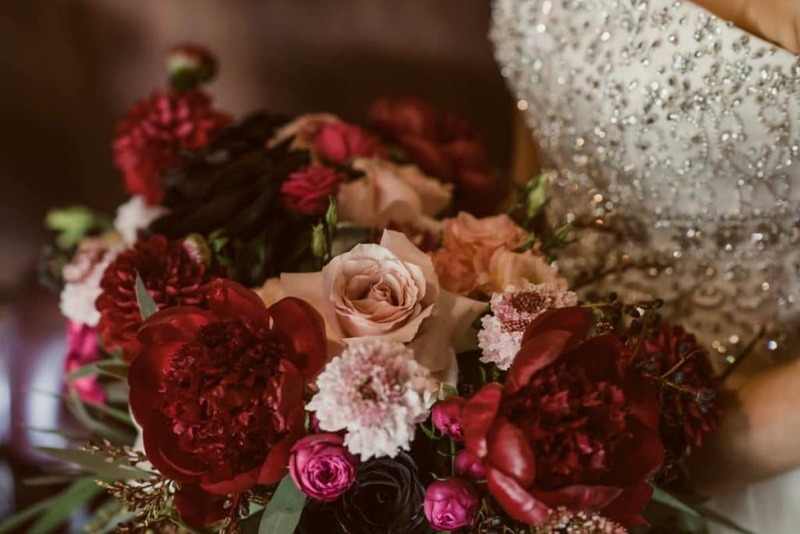 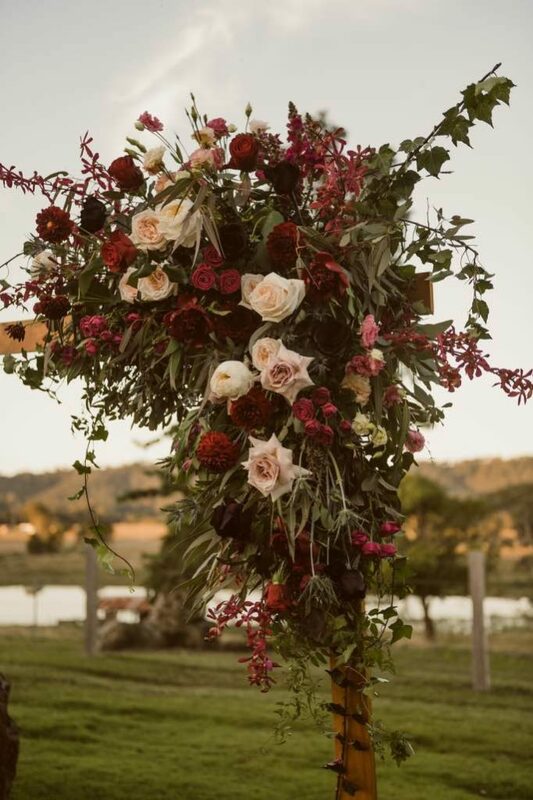 French peonies, black roses, blush Quicksand roses worked so well together with the dahlias, cluster lace roses and lisianthus and mixed Australian eucalyptus foliage. 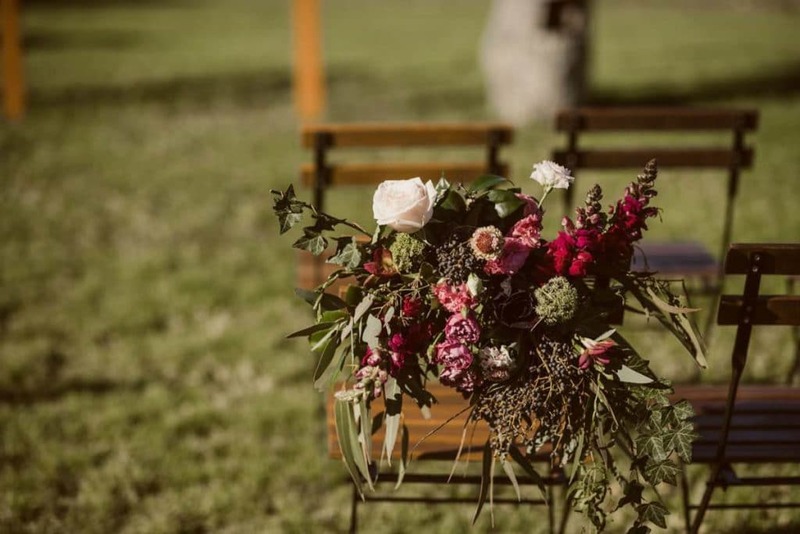 Clare wanted to keep the overall floral design warm and rustic for the ceremony and reception with her bouquet being the focus (yes we love a big wedding bouquet too!) 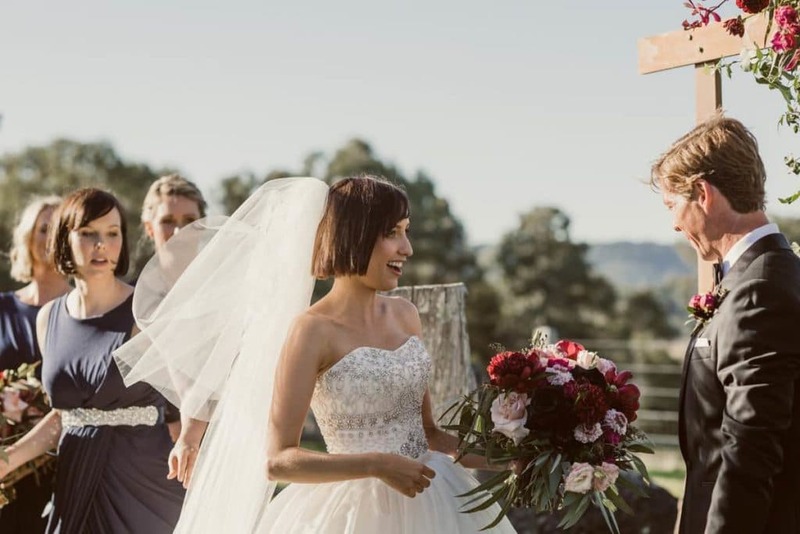 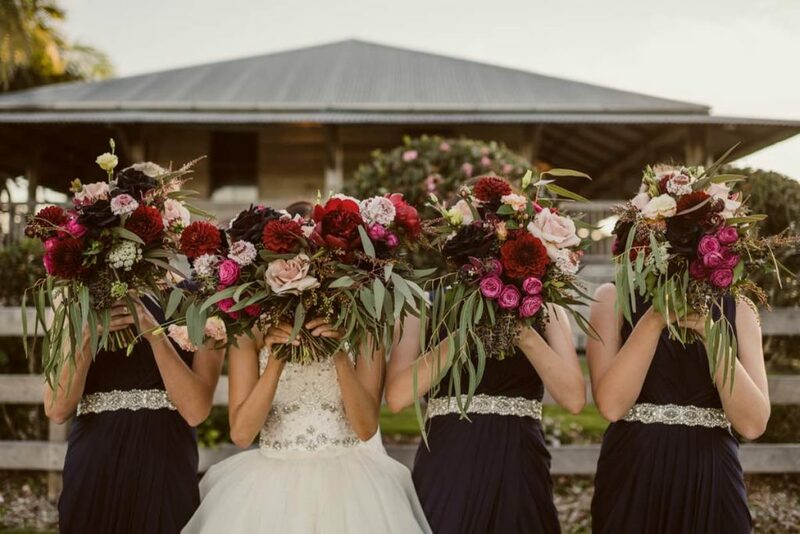 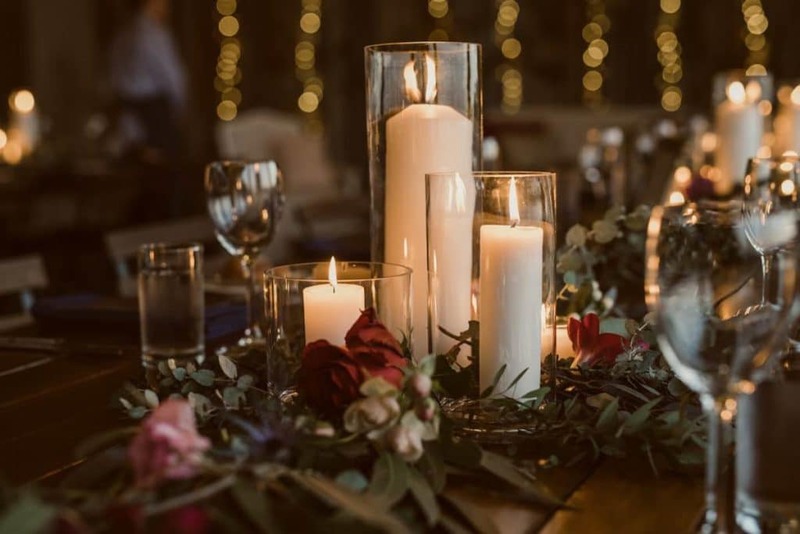 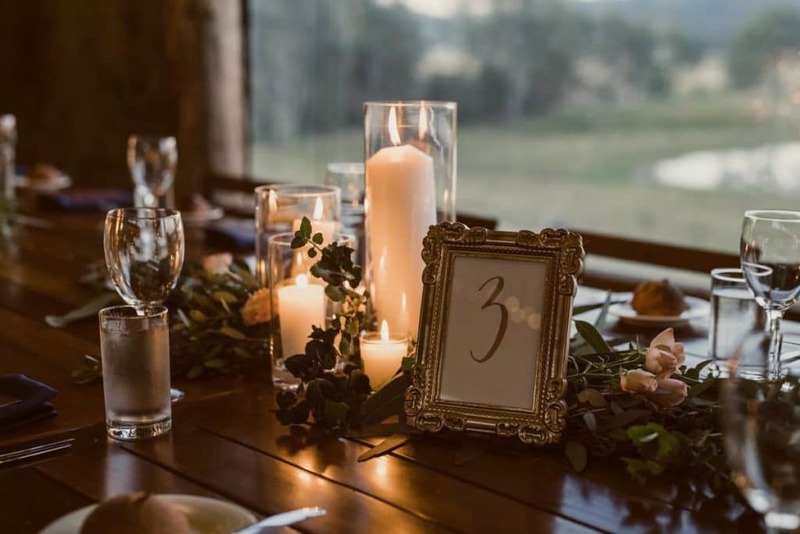 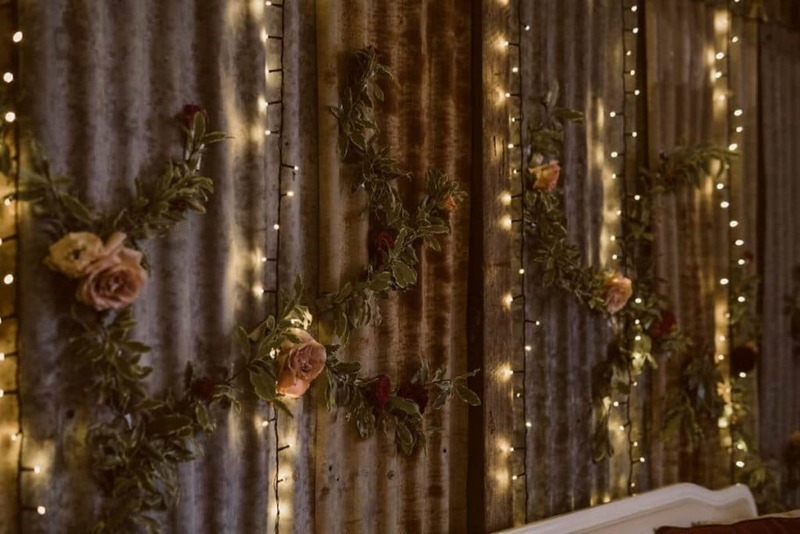 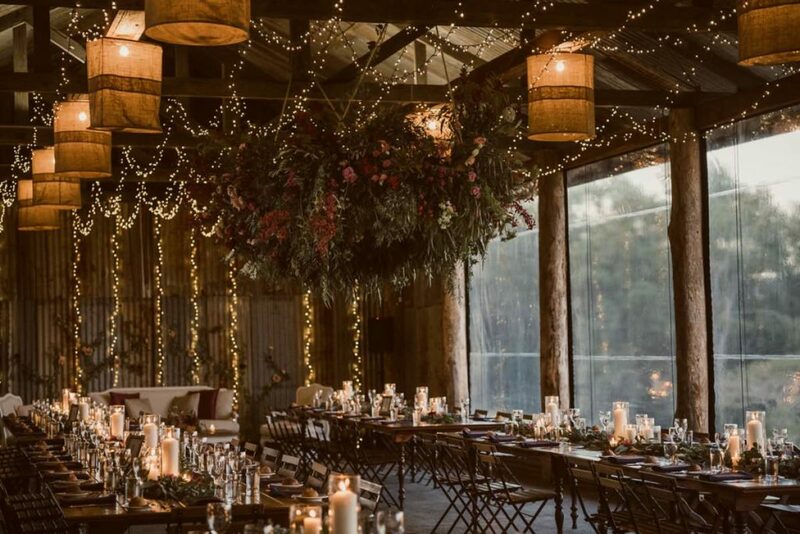 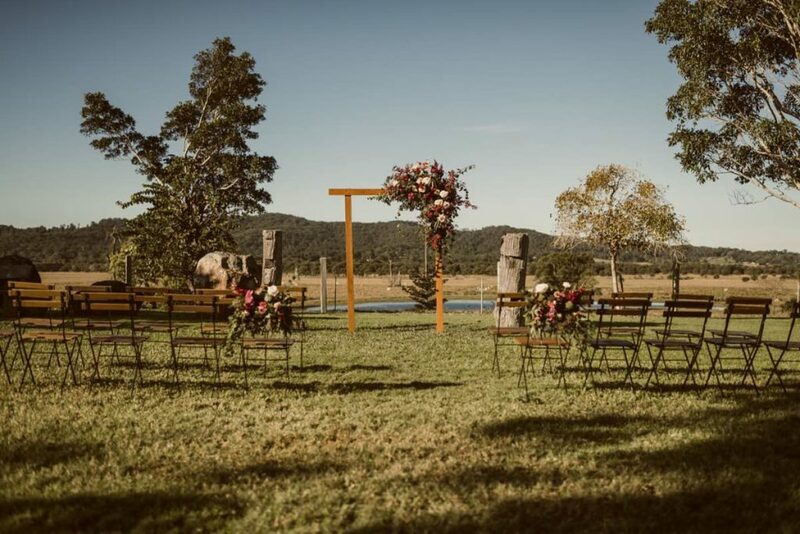 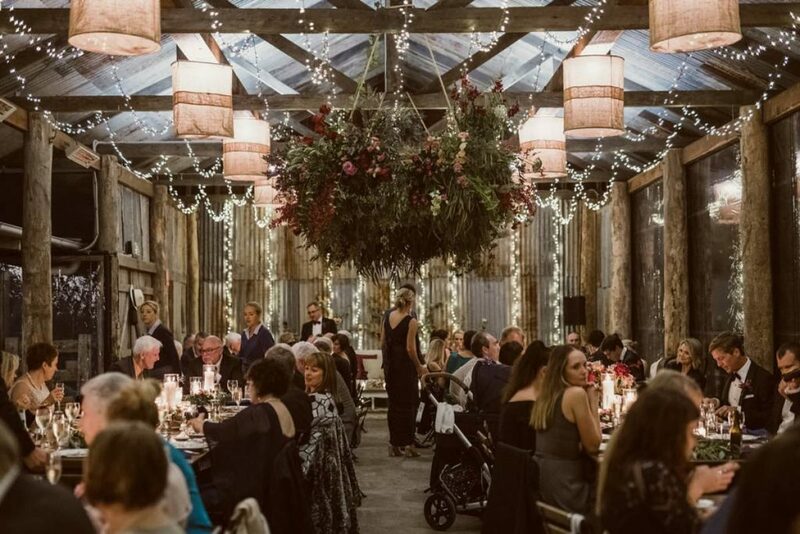 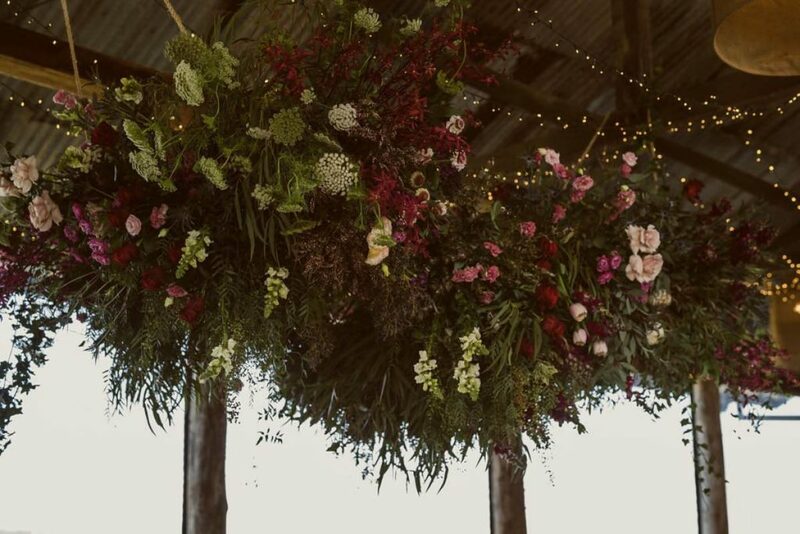 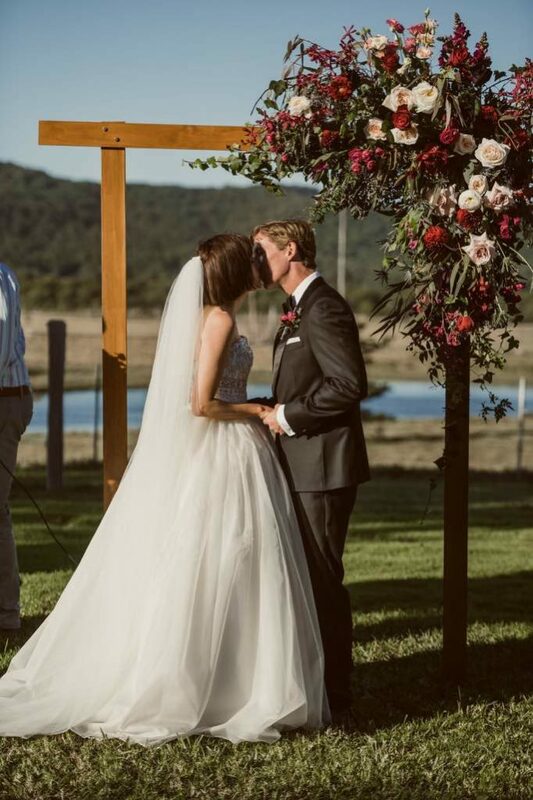 As a compromise for simple and paired back foliage garlands, we created a jaw-droppingly gorgeous floral installation that was over 4 meters long in the centre of the dairy of Yandina Station, it certainly created a wow factor for the evening! 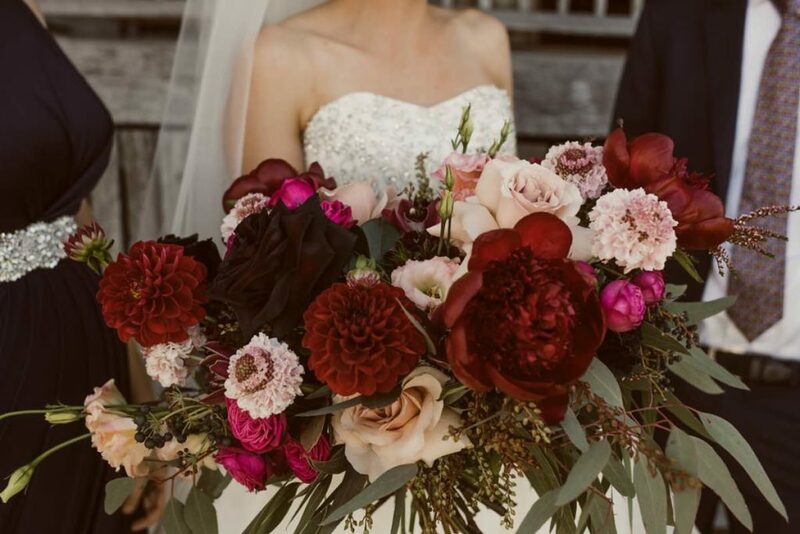 Thank you for the beautiful job with our wedding flowers! 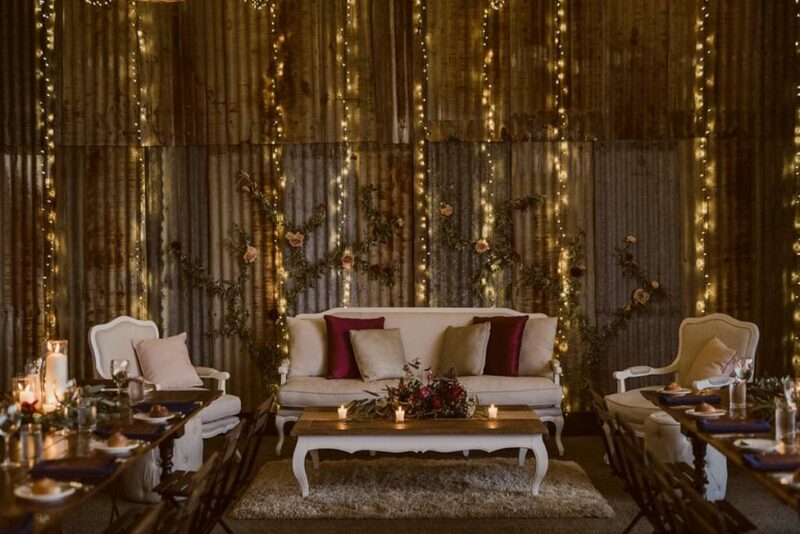 The props were supplied by Simply Style Co, we think that the lounge area with floral stencil feature wall looks so comfortable and inviting, where else would you rather be! 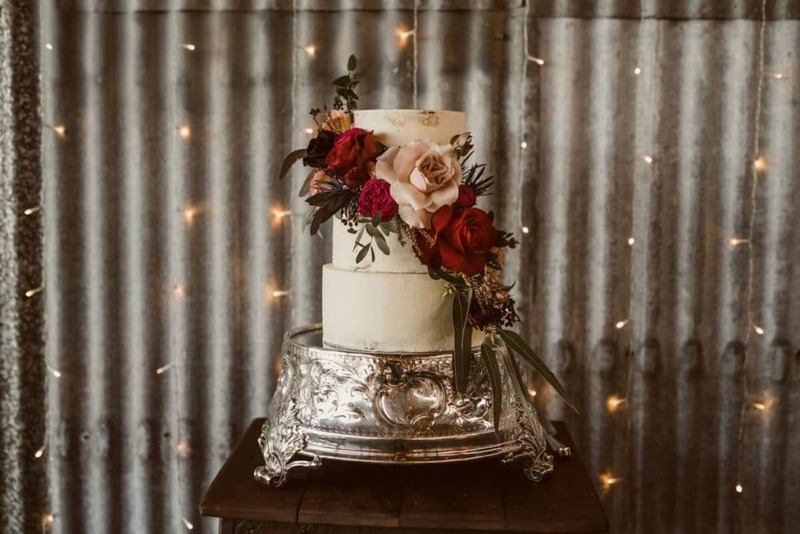 We loved to create personalised and unique designs for our brides and we love how the little things like the aisle flowers and the cake flowers all linked in together.